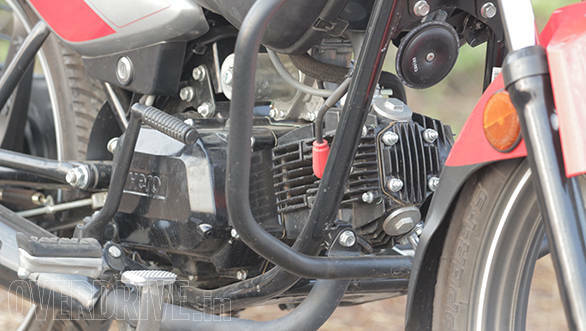 Hero's Splendor showcases and deploys their start-stop system for motorcycles. The system is officially called the Idle Start Stop System, abbreviated to i3S. As with all start-stop systems, what that means is that the vehicle shuts off its engine when you come to a stop and restarts it in time for you to start moving again, saving fuel by not idling the motor while you're stationary. What is the Splendor iSmart then? Think of the motorcycle as the same trustworthy Splendor but with a glitzy paint job and the addition of the start-stop system. That might seem like a small update but you should look closer. First of all, the quality levels on the motorcycle are almost exactly the same as before which is a good sign. Second, that paint job is actually rather good looking. It might actually get my vote for being the best looking Splendor ever if it weren't for the iSmart decal in the middle of the tank that to me pulls down the look more than anything. I like the subtle grey-on-grey i3S logo and the flat red stickers that contrast well with the silver paint. I've also seen the blue-silver on the road and it looks neat but not as striking as the red. The other thing, clearly, is the new start-stop system. The only physical manifestation is the blue switch on the right which says i3S in the middle of the switch and takes the place usually reserved for engine kill switches. Like all vehicles that come equipped with start-stop, you can turn the system off if you choose. How does start-stop work in the real world? Because the Splendor has a manual transmission, deploying start-stop is more complex. Hero have chosen to cut the engine roughly five seconds after you come to stop, shift into neutral and release the clutch. I'm not sure about the five second delay or that rationale behind it and I've asked Hero for a more detailed explanation. I will update this story once I have a response. In effect, about five seconds after you come to a stop at a traffic light, the bike cuts out. When the light changes to green and you pull in the clutch, the pulling of the lever activates the starter motor to restart the engine. In actual use, this works pretty much as advertised. The delay in the engine cutting out takes a bit of getting used to but once you're past that, the system is pretty reliable. Does it actually save fuel? It does. We threw the Splendor iSmart into the heaviest, nastiest traffic that Mumbai has in the evening rush hour for fuel economy tests with the system on and off to see what i3S brings to the table. Note that these figures aren't directly comparable to our normal city economy test. This is more like a hunt for the worst possible economy. With the i3S system disabled, the Splendor iSmart returned 46.25kmpl. This is roughly 8-10kmpl lower than we would get in our regular city economy test cycle. When we did the same run again, keeping everything identical but i3S on, the bike returned 48.46kmpl, an improvement of 2.21kmpl. Indeed. This is the issue with start-stop systems when used on their own. The savings depend heavily on how often you stop which means the worse the traffic, the more often you stop for some time - as opposed to the slow, near-continuous crawl - the more the chance for the i3S for shine. But given that you're usually crawling along more often than completely stopped, the difference is usually very small. In the case of our fuel run, the i3S system saved just under 5 per cent of fuel over a 50km run. Usually, start-stop forms a part of a suite of fuel saving technologies where all of them contribute these 5-7 per cent savings to generate a significant overall saving of as much as 20 per cent. If you look back in OVERDRIVE history, you'll discover that our economy tests of the Mahindra Scorpio MicroHybrid - also equipped with start-stop - produces similarly small savings. The engine is the same 97.2cc engine producing 7.8PS just like in the NXG and the Splendor Pro. The chassis is also identical to the NXG which means in feel, the iSmart feels exactly like a regular Splendor would. The engine is quiet and refined at street speeds but not exceptionally so. 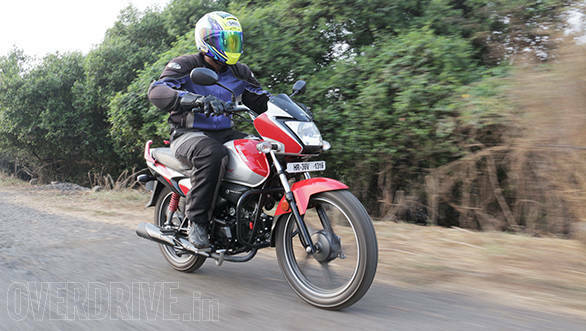 The ride quality and handling similarly are par for the course. 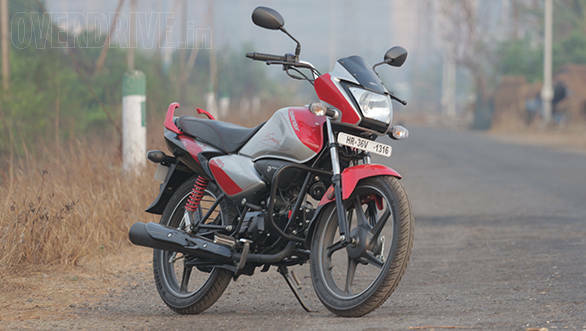 Hero will sell the Splendor iSmart at Rs 60,000 on-road Mumbai. While NXG deliveries to dealers have stopped, this makes the iSmart roughly Rs 2,000 more expensive. I bring up the NXG because visually, the iSmart looks the same as the NXG but with new paint, stickers and some minor changes. So the closest Splendor to the iSmart is the Splendor Pro which retails for Rs 58,500 on-road Mumbai, or Rs 1,500 less than the iSmart. 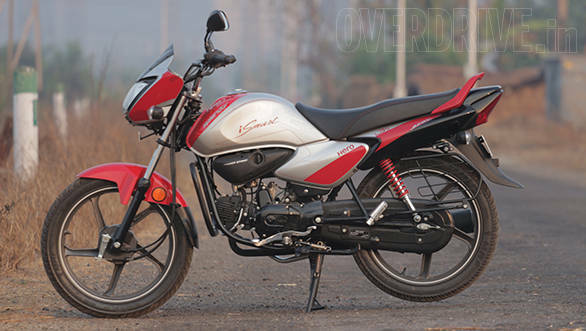 Above the iSmart, just so we are clear is the Passion XPro drum brake variant which costs Rs 2,000 more. In comparison to the Splendor Pro, for the money you get a gizmo that should save you some fuel, especially if your commute is chockful of signalised intersections where you come to a complete halt for at least some time. If, however, you're lucky enough to have a commute where you're always moving, chances are the iSmart is going to return the same economy as the NXG.